Federal Bank providing a simple way of getting your Federal Bank accounts balance and Federal Bank mini statement. All that you need to do is to give a miss call from your registered mobile. To avail this facility, you shall first register for the facility in your mobile number which is registered with Federal Bank's records. This facility is provided free of cost. How to register mobile number with Federal Bank for missed call balance facility? Please note only resident customers are eligible to avail this facility. After register mobile number with Federal Bank, how to get balance enquiry by missed call? To get account balance, please give a missed call to the number 8431900900. You will receive an SMS containing balance details of your account. 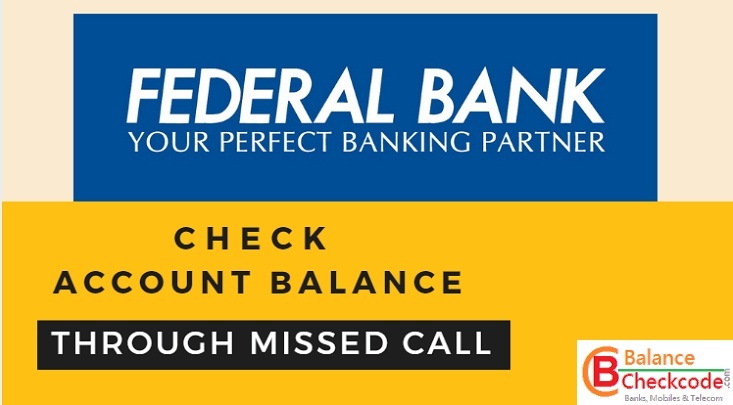 How to get the mini statement of Federal Bank by missed call? To get mini statement, please give a missed call to the number 8431600600. You will receive an SMS containing mini statement of your account.